The Gully Boy team – Ranveer Singh, Alia Bhatt and Zoya Akhtar – are all set for the world premiere of their film at the 69th Berlin Film Festival. 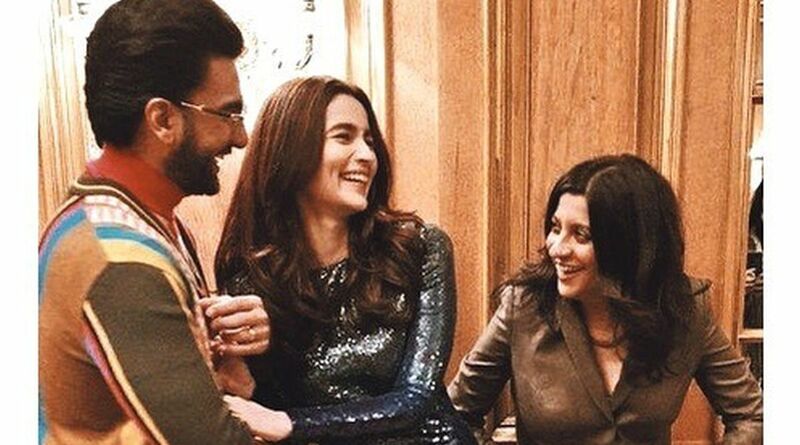 The Gully Boy team – Ranveer Singh, Alia Bhatt and Zoya Akhtar – are all set for the world premiere of their film at the 69th Berlin Film Festival. Before the theatrical release of Gully Boy in India, the team would raise the curtains for an international audience. Alia, Ranveer and filmmaker Zoya Akhtar are in Berlin to witness the prestigious moment. Ranveer Singh, in his element, looks all ‘decked up’ in a fur coat in a recent picture he shared from Germany. “Keep it 100,” the actor captioned the image. On the other hand, Alia Bhatt, in her latest pictures, is reminding us that she is truly a diva from the film festival. The first nine films chosen for the competition and the Berlinale Special were announced on 13 December. Gully Boy has been selected along with German film Brecht and a documentary titled Watergate to be screened as part of the Berlinale Special. Gully Boy is a story inspired by slum rappers of Dharavi, particularly Divine and Naezy. The film marks the first collaboration of Ranveer Singh and Alia Bhatt on the big screen. It also stars Siddhant Chaturvedi and Kalki Koechlin in pivotal roles. Co-produced by Farhan Akhtar and Ritesh Sidhwani’s Excel Entertainment, Gully Boy will be released on 14 February in India.